As the maid of honor, it is your duty to look for some bridal shower ideas. You do not want to be blame of a not-so beautiful party. Since you are going to organize and host it, you will do anything to make it the best bridal shower party the bride and her guests will ever attend to. With that said, it is vital that you search for creative ideas and ways to throw a fun, memorable and very unique party. Here are the important details that you need to know, learn and apply to make that possible. The first thing that must really come to your mind is the theme. You cannot proceed to go further without any theme because this is the foundation of what you are going to plan. For a bridal shower party, there are lots of themes you can consider. Some of the common themes are tea party, health and fitness, spa, casino, French and pajama. If you select a theme, always consider what the bride would like. You have to make a decision based on her interest, likes and personality. Does she love books, likes music, have any interest of the beach, or obsessed with photography? What is her favorite color and preferred style? Once you have the theme chosen, it is easier for you think of other bridal shower ideas and plan out things in details. Before you send out any invitations, be sure that you pick a good date with the perfect time. It must be a right time wherein every guest and the bride can attend to. It must not conflict any of their schedules especially the bride. You may ask the bride of the best week or rather the particular date to have this party. What’s certain for sure is that this casual gathering has to take place before the wedding day. It must be at least two to three weeks prior to the special day that is most awaited for. After selecting a date, do not forget to go for the location right away. The choice of venue is greatly based on the theme. You either rent a local space just to create the desired or chosen theme or go to an existing business location where you can spend the day celebrating this party. When you choose a venue, always consider the distance and size. It must be near the bride’s place and some of her family and friends who will be attending. It must also accommodate all guests that you will invite. Lastly, it has to be a very beautiful and suitable place where all of your bridal shower ideas are easily made up in becoming a reality. Your natural, creative bridal shower ideas come out even more when you start making the invitations. The party invitations are mostly personalized so they can give a touch of what’s the bride’s personality is. Being the best and most trusted friend, the bride has chosen you to be in charge of this because you know exactly what she would like even without telling you. To keep that notion right and true, you do your very best to make stylish and artistic bridal shower invitations. You may be resourceful like using recycled materials in order to save some of the allocated budget. As long as the result meets your expectation without spending a lot of money, it’s going to be a good plan. Decorating the chosen venue is one task to deal with when you are the person in charge. This is where you really have to consume most of the time, energy and resources. Nevertheless, it’s going to be a fun challenge that you need to look forward to. With that sense, you are able to choose and display decorations without feeling exhausted or disappointed. 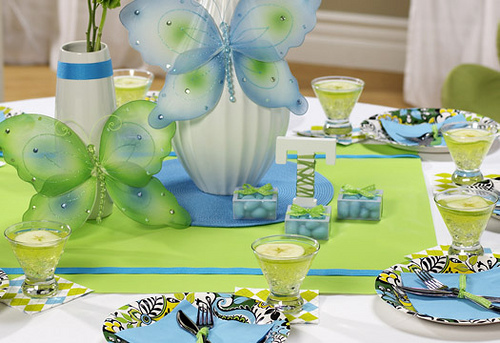 You choose items that match the theme because any décor you put up the kind of wedding shower party you are having. Among the basics to use and must include on your list of bridal shower ideas are flowers, balloons, streamers, photos and table centerpieces. Whatever items you use for the display, be creative enough. Do not just let the balloons tied at the wall posts or flowers in a vase. You also have to step out of the box and showcase your own original style in decorating the party. For example, have the flowers stuck in an aquarium-like transparent vase where there are colorful stones and marbles added in it. A bridal shower party is not a party without foods and beverages. Regardless of the theme and venue, make it a whole day event wherein all of you can have the time to consume some tasty foods from the meal to the dessert. You need to select a particular cuisine or a mix of good food groups that can give satisfaction to everybody. To make this easier and more cost effective for you, choose a potluck kind of event. All invited guests can bring any food they want. This is certainly one of the cheap bridal shower ideas you may consider. Furthermore, there must be also favors to give out to everybody who would be attending this anticipated pre-wedding event. You can just go for simple, but delicious and presentable favors. Some good examples are cookies in a transparent box tied with a ribbon, cake pops with name tags or personalized cupcakes with a cherry on top each. As the host, you must give a surprise to the bride that she will definitely remember and cherish all throughout her life. With a circle of friends and family around, it can be a teary-eyed moment for her to watch some video clips from her beloved groom, parents, siblings and other people she might not have close in touch with. Aside from that, have a few minute slideshow of her photos from the time she was born to the first day of her school, from her JS prom to her most recent engaged or pre-nuptial portfolio. Bridal shower ideas like this can surely melt her heart. Besides, it is her party after all so try to do that and make her cry – well, in a good way. It is also one of the most unique bridal shower ideas to add video recording of the event. You may assign someone or hire a videographer to catch the moments stored for this particular party. This way the bride can be reminisced of how beautiful the wedding shower you have planned for her. Whether you are a sister, a best friend or anyone, if you are the person to handle this party, try considering this suggestion too. 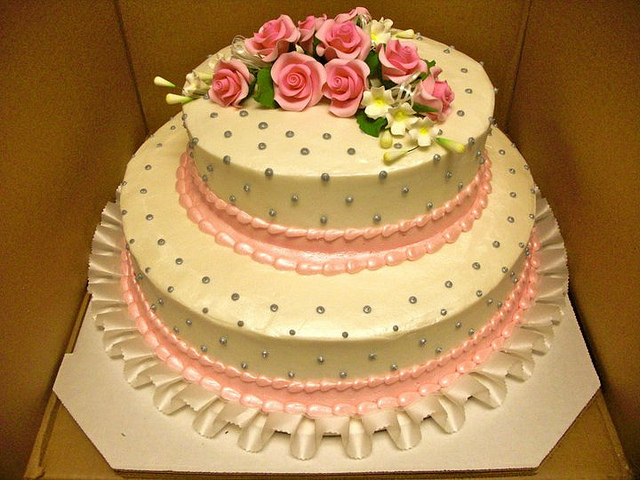 You can definitely lessen the tension, worries and pressure of planning a wedding shower event. It only takes proper and well-timed planning with some cool and creative bridal shower ideas to throw a fantastic party. If you follow what you have learned here, you are able to make this particular task a success.